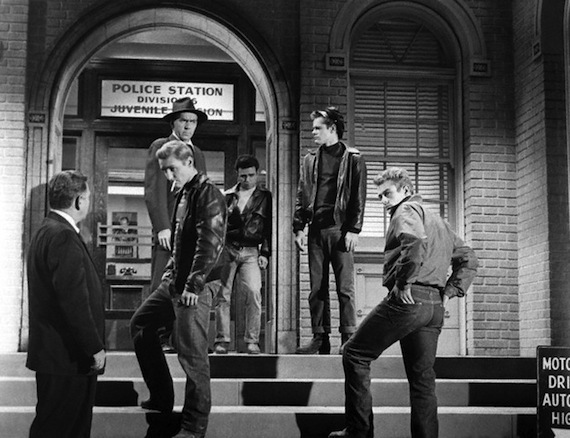 The above still, taken from 1955’s Rebel Without A Cause, was expertly used as the cover art to the woefully out-of-print, left of the dial rockabilly compilation, Teenage Repression. One of the (many) highlights of the set is the Blue Echoes “It’s Witchcraft“—the b-side to their 1959 single, “Debbie.” The production, arrangement and vox sound like something straight out of the David Lynch universe. Here’s an interview I did with the Blue Echoes. I hope you enjoying reading and learning about them. They are very cool guys.